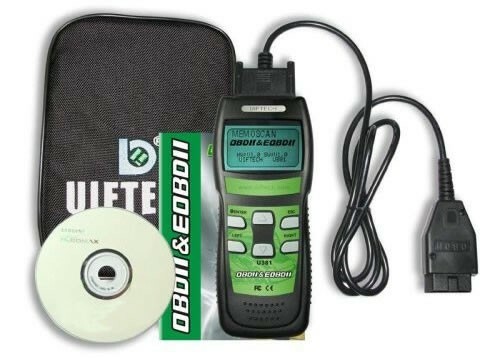 This auto scanner (OBD II car reader) will quickly find your trouble issues by reading the specific diagnostic trouble code (DTC) from the car's computer and displaying it to you and shows its description as well. Moreover, this tool is able to display live data from your car's computer, such as current RPM, engine coolant temperature, vehicle speed, oxygen sensor data, and much more. This is the latest model which enables its user to update it via the internet from the manufacturer's website for free. Compatible Vehicles This item is compatible with OBD II compliant cars and light trucks 1996 - 2004 . Updatable via the Internet, using RS-232 serial port. Trouble codes and code description is shown on the LCD display. No code book is needed.